Welcome once again! 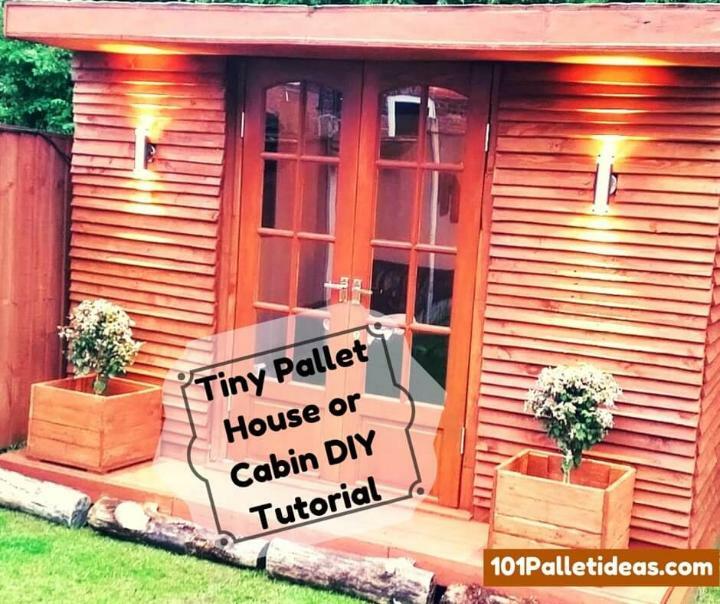 We are here to inform you that we have recently added a full pallet tutorial about how to build an outdoor cabin or a little cozy residence with pallets! We just missed out some details that turn the cabin into a more featuring living area and make it a uniquely original finally finished residence! 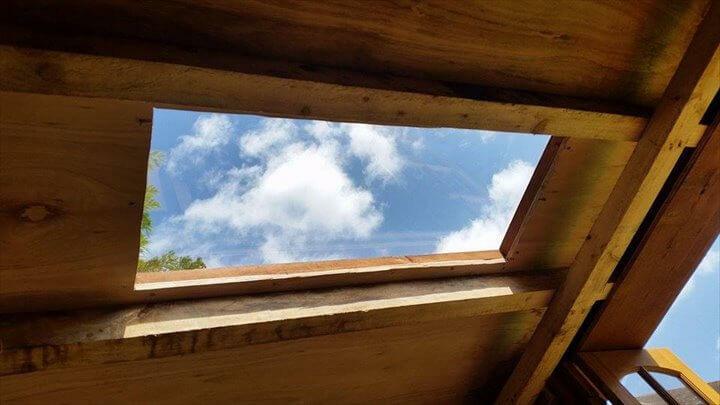 This was this DIY pallet cabin sun roof that is an amazing feature of this modern chic cabin to moderate the amount of air and sunlight! Glassy touch on wood medium will also be much mesmerizing and enticing! However, this may be optional one and you can also go for to install windows to either wall of it that will surely have the same function! Choices are always there for you! You can also see through it to view that what is going on never ending blue sky and what are weather conditions outsider for safe departure! This may also be pretty easy to add this sun roof to your cabin roof! 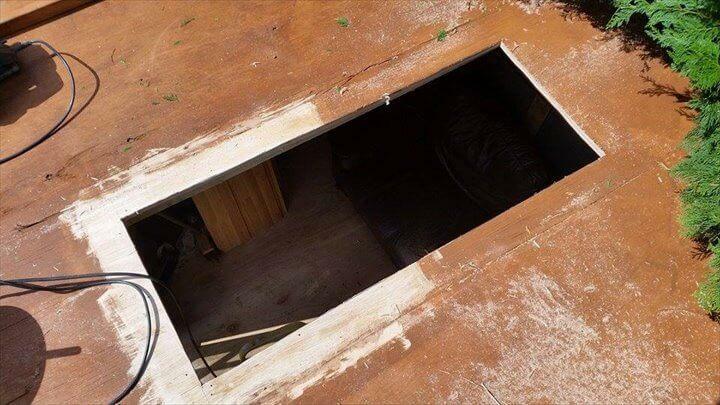 Cut out the area from plywood roof where you want to fit this sun roof panel! Exact and precise measurements will surely confirm better fit! Sand the edges of cut out rectangular section for safe settlement of glass slab! 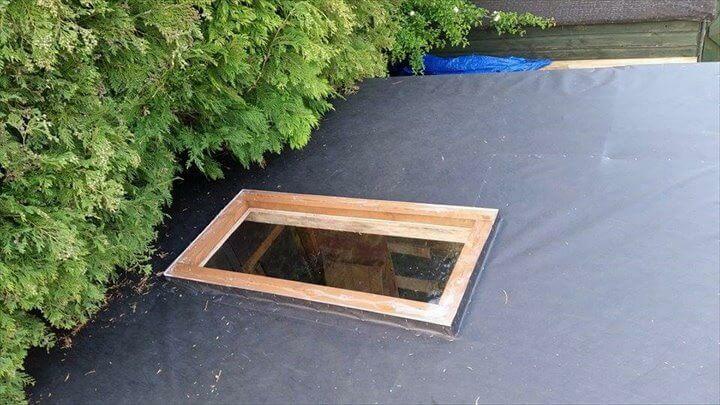 Layer the glue and make it sit down there by covering the cut out portion well and also add wooden boundary again over and around the glass slab to hold it in place! Get inspired and enjoy!